1430-1491 German Martin Schongauer Galleries His father was a goldsmith named Casper, a native of Augsburg, who had settled at Colmar, where the chief part of Martin's life was spent. He may well have been trained by Master E. S.; A. Hyatt Mayor saw both their styles in different parts of one engraving, and all the works with Schongauer's M†S monogram show a fully developed style. Schongauer established at Colmar a very important school of engraving, out of which grew the "Little Masters" of the succeeding generation, and a large group of Nuremberg artists. As a painter, Schongauer was a follower of the Flemish Rogier van der Weyden, and his rare existing pictures closely resemble, both in splendour of color and exquisite minuteness of execution, the best works of contemporary art in Flanders. Porträt einer jungen Frau, by Martin Schongauer, c. 1478, located in Sammlung Heinz Kisters, Kreuzlingen (Schweiz) in GermanyAmong the very few paintings which can with certainty be attributed to him, the chief is a magnificent altar-piece in the church of Saint Martin at Colmar. The Mus? ?e d´Unterlinden in Colmar possesses eleven panels by him, and a small panel of David with Goliath's Head in the Munich Gallery is attributed to him. The miniature painting of the Death of the Virgin in the National Gallery, London is probably the work of some pupil. In 1488 Schongauer died at Colmar, according to the register of Saint Martin Church. Other authorities state that his death occurred in 1491. The main work of Schongauer's life was the production of a large number of beautiful engravings, which were largely sold, not only in Germany, but also in Italy and even in England and Spain. Vasari says that Michelangelo copied one of his engravings, the Trial of Saint Anthony. His style shows no trace of Italian influence, but a very clear and organised Gothic. His subjects are mainly religious, but include comic scenes of ordinary life such as the Peasant family going to market or the Two apprentices fighting. one hundred and sixteen engravings are generally recognised as by his hand, and since several are only known from a single impression, there were probably others that are now lost. Many of his pupils' plates as well as his own are signed, M†S, as are many copies probably by artists with no connection to him. Crucifixion by Schongauer.Among the most renowned of Schongauer's engravings are the series of the Passion and the Death and Coronation of the Virgin, and the series of the Wise and Foolish Virgins. All are remarkable for their miniature-like treatment, their brilliant touch, and their chromatic force. Some, such as the Death of the Virgin and the Adoration of the Magi are richly-filled compositions of many figures, treated with much largeness of style in spite of their minute scale. He established the system of depicting volume by means of cross-hatching (lines in two directions) which was further developed by D? ?rer, and was the first engraver to curve parallel lines, probably by rotating the plate against a steady burin. He also developed a burin technique producing deeper lines on the plate, which meant that more impressions could be taken before the plate became worn. The British Museum and other major print rooms possess fine collections of Schongauer's prints. American Painter, 1810-1874 1810?C74, American artist, b. Baltimore, studied under Thomas Sully and in Europe. 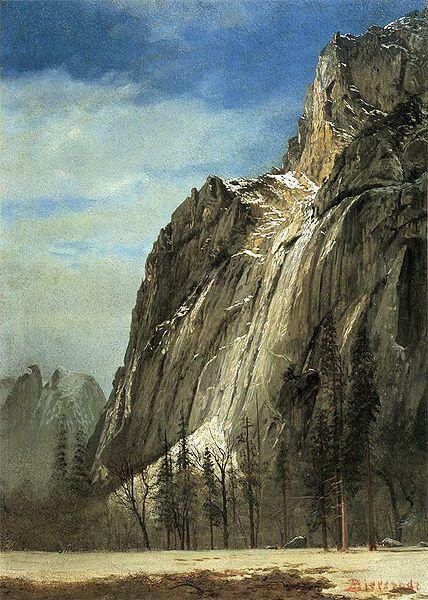 In 1837 he joined an expedition to the American West and was probably the first artist to depict the Rocky Mts. On that trip he produced his most important works, chiefly studies of Native American and frontier life, valuable for their documentary detail. These sketches and watercolors were entirely forgotten for nearly a century until they were rediscovered in a storeroom of the Peale Museum, Baltimore.